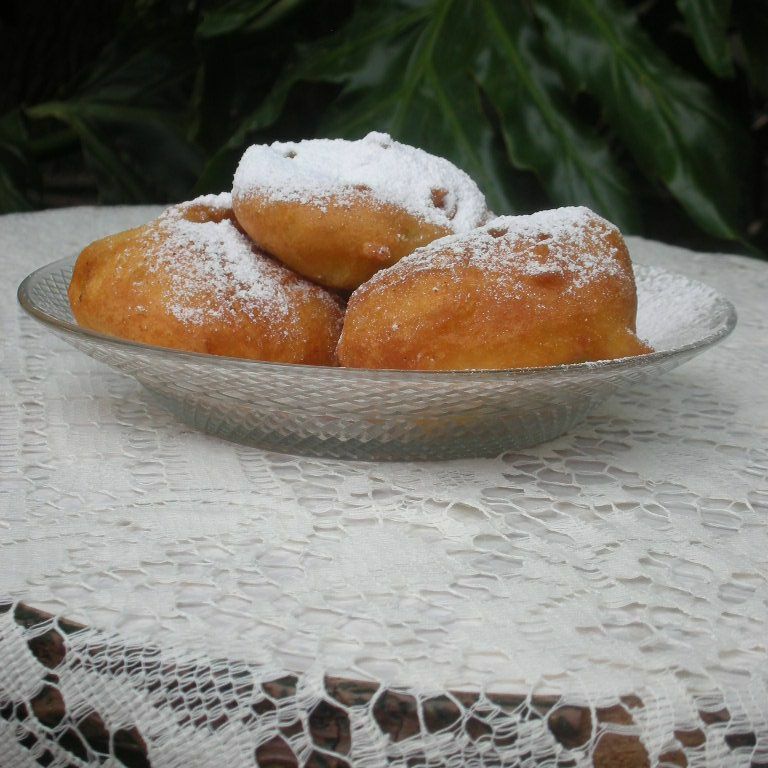 These fritters are like a cross between apple pie and donuts: the outside golden brown and crispy, and the apple on the inside is just cooked, while still retaining some bite. They are traditionally served at New Year's Eve celebrations in the Netherlands, just before all those New Year's diet resolutions kick in. So tuck in while you have a chance. The 'banketstaaf' is a traditional Dutch pastry, served at Christmas time. Flaky puff pastry brushed with apricot jam and sprinkled with powdered sugar encases a soft, flavorful almond paste center. You can make them in just a little over half an hour. Serve it up with coffee. For a fancier presentation, decorate with cheery glace cherries and slivered almonds. This Bishop's wine is a favorite for Sinterklaas. It is a medley of red wine, oranges, lemon, and spices. It takes three hours to mull, so put it on simmer and head out for a bracing walk or skate on a cold December day. It'll be ready to warm you up afterward. The little sister of speculaas, kruidnoten are tiny rounded cookies eaten at Sinterklaas. They're spiced with ginger, cinnamon, white pepper, cardamom, cloves, and nutmeg. New varieties include chocolate-covered kruidnoten, truffle kruidnoten, and yogurt kruidnoten. Advocaat is a creamy yellow liqueur made from a rich blend of egg yolks, sugar, brandy and a touch of vanilla. The Netherlands exports this drink to over 50 countries, but, shhhh, it’s really easy to make your own at home. With their hint of cinnamon, almond slivers, and candied sugar, these cookies are traditionally eaten at Christmas time in Holland. They can be cut into squares, rectangles or diamond shapes. But I really like cutting them into fingers to serve with ice cream, mousse or sabayon, or in fact, with a good old cuppa coffee. This recipe for fruited bread with a sweet almond paste center is a real winner for the holidays. I have updated the traditional recipe, using cranberries and orange liqueur instead of the usual raisins, currants, and brandy. But please feel free to stick to the traditional version. These delicious Dutch cinnamon-ginger cookies are traditionally eaten at Sinterklaas. Because commercial versions are often windmill shaped, they are also known as "windmill cookies" abroad. But these cookies actually come in a variety of shapes, such as figurines, angels, and animals. You may also know them as ''Biscoff cookies". Filled varieties, such as the and gevulde speculaas cookies, are also very popular.